Sport-utility vehicles are all about hauling stuff, so collecting a set of 40-year-old wheels seemed like the perfect road test for the new 2015 Chevrolet Trax. 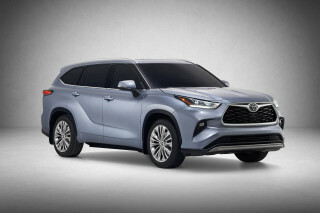 The subcompact SUV offered cargo space for the wheels--which, frankly, would have fit into a sedan--along with decent gas mileage on our long highway trip from upstate New York to suburban Virginia and back. The Trax is more accurately a subcompact crossover utility vehicle, built on the underpinnings of the Chevy Sonic hatchback, but with all-wheel drive available as an option. 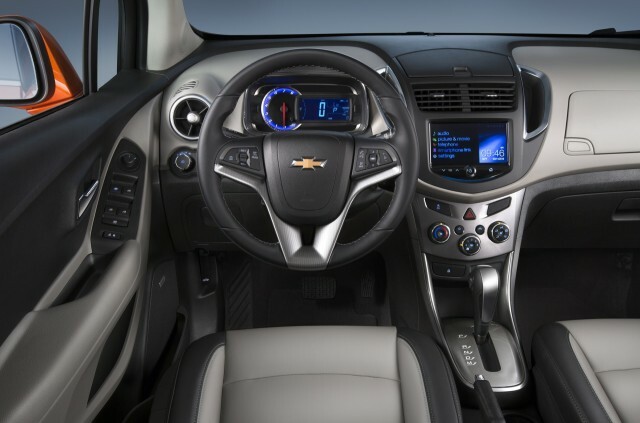 It's the least expensive Chevy with all-wheel drive, and while the styling won't turn any heads, it's a practical entry-level utility vehicle with decent space inside. 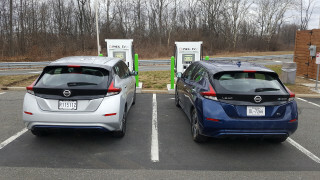 Our weekend highway jaunt covered a total of 767 miles; over two tanks of gasoline, the trip computer logged an overall fuel-economy reading of 30.7 miles per gallon. That's about what we'd have expected from our AWD Trax, which is rated by the EPA at 27 mpg combined (24 mpg city, 31 mpg highway). The lighter front-wheel-drive Trax comes in slightly higher, at 29 mpg combined (26 mpg city, 34 mpg highway). And each of those ratings beats its sibling-under-the-skin, the all-wheel-drive Buick Encore, by 1 mpg. Eliminating the AWD, however, puts the Trax into competition with subcompact hatchbacks that offer higher fuel economy--right up to the 50-mpg Toyota Prius C hybrid. In the all-wheel-drive group, three somewhat larger Subaru compact models are rated higher: the XV Crosstrek at 29 mpg, and the XV Crosstrek Hybrid and standard Impreza hatchback at 31 mpg. The Trax had space for three of the 13-inch steel wheels in the rear load bay, with the four in a rear-seat footwell. We found the driving position and seat comfort of the little Trax good for our long trip, with excellent lumbar bolstering in the optional leather-and-cloth seats. And the cabin is surprisingly quiet, long a Chevrolet specialty, making the long, fast trip less grueling than it might otherwise have been. Ride comfort was also good, helped by the tall sidewalls on the 16-inch tires--unlike the larger wheels with low-profile tires often fitted even to working SUVs these days. 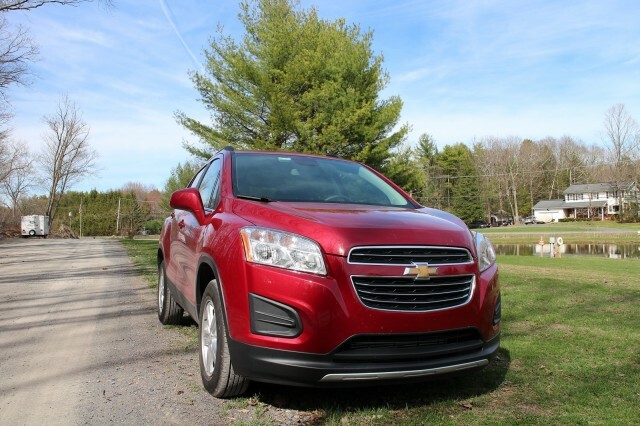 With a turbocharged 1.4-liter engine producing 138 horsepower, the Trax isn't overly powerful. Its six-speed automatic transmission often had to shift down two gears to provide the acceleration requested--but that's where the fuel economy comes from. Like many tall, slab-sided utilities, however, the Trax proved sensitive to cross-winds at highway speeds. As we noted in our first drive of the Trax last December, the interior has plenty of cubbies, compartments, slots, and other storage areas. A USB port in the upper of two passenger-side dash compartments provides for out-of-sight cellphone charging, but makes it slightly awkward for passengers to talk on the phone while the device is charging. From the driver's seat, the instruments and dash controls are a mix of digital displays--a numeric speedometer--and analog tachometer. The ventilation controls are the traditional three knobs, easy to use without having to decipher them. Visibility is decent, though like SUVs of all sizes, the pillars of the Trax are thicker than they would have been 10 years ago. Chalk it up to tougher safety standards. 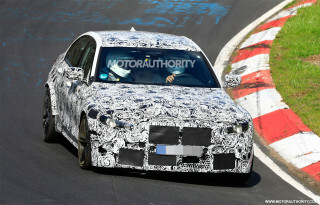 Finally, the rear-seat headrests are commendably small, not impinging on the rear view in the mirror. 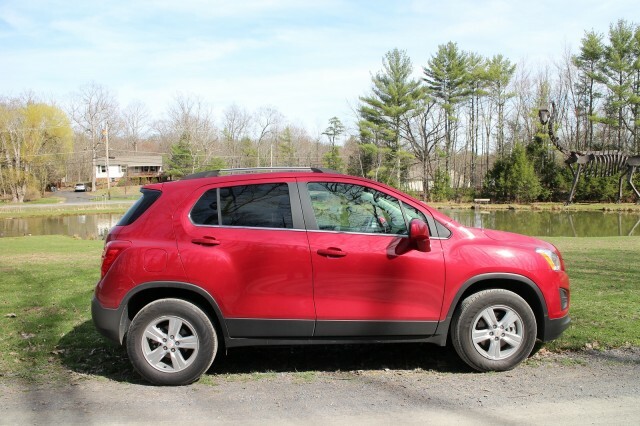 Our test vehicle, a 2015 Chevrolet Trax LT AWD in Ruby Red Metallic, came with just a single option: a LT Plus package that added six-way power adjustment to the driver's seat, deluxe cloth/leatherette seat trim, a leather wrap for the steering wheel, and rear parking assist. While the listed price on that bundle was $670, a line item saying "LT Plus Package Savings" then subtracted $175. 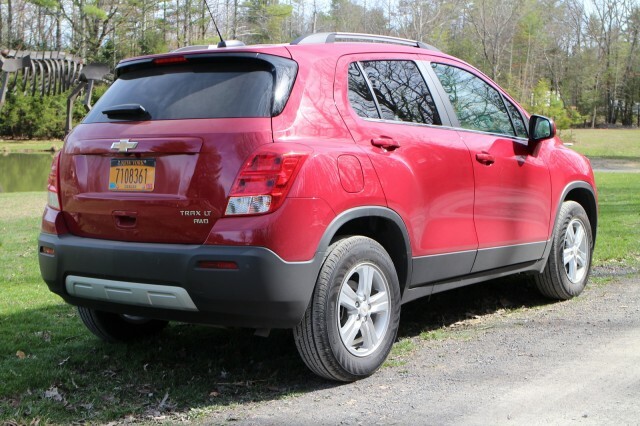 With a mandatory $875 delivery fee, the total price of our Trax as tested was $25,315.